Essen (GER), November 28, 2018 - Despite probably being the most famous “horse-whisperer” of them all, Monty Roberts is essentially a man who listens to horses rather than whispering to them, and who probably has a command of their language like no other: he is simply a legend! For the first time in many years you now have the rare opportunity of experiencing the grand old man of horsemanship live in Germany again at EQUITANA 2019. 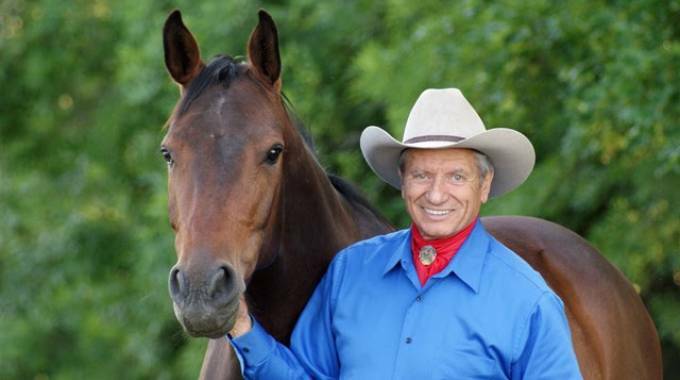 With Monty Roberts live on 14th March, 2019, EQUITANA presents an exclusive coaching session with the prize-winning trainer and bestselling author. At EQUITANA, Monty will be providing insights into the training methods he uses to create a trusting relationship in training and in everyday contact with horses. During the training evening he will work with various horses, whom he will meet for the first time in the large arena. "We are especially pleased to present Monty Roberts to his large fan community in Germany", says EQUITANA director Christina Uetz. Monty Roberts was last seen at EQUITANA 2003. From March 9th to 17th, the EQUITANA brings together everything the international horse world has to offer. In addition to the world's largest exhibition area, the 25th EQUITANA anniversary edition will once again feature numerous top events – including the horse gala HOP TOP Show and exclusive training evenings with the stars of equestrian sport. Tickets for EQUITANA and "Monty Roberts live" are now available in the EQUITANA ticket shop.